After the recent release of Avengers: Infinity War, it appears that some of the team's original cast members were feeling a bit sentimental of the franchise. So, they did what everyone does when feeling a bit nostalgic. They got matching tattoos. 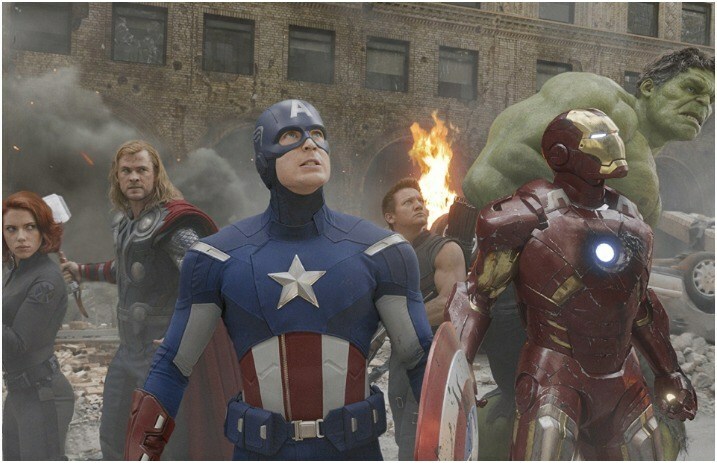 As reported by Entertainment Weekly, Robert Downey Jr. shared that five of the six original cast members decided to get the team's superhero logo. Downey, Chris Evans, Chris Hemsworth, Jeremy Renner and Scarlett Johansson all received the Avengers-themed tattoo, as did their New York-based tattoo artist, Josh Lord, who acted as the sixth member of the team. An Instagram post made by Downey on Monday, May 7 showed the star as he got the tattoo. As Bustle points out, the intricate designs from the tattoo could hold some significance to the original film. The letter “A,” much like the one from the franchise's movie posters, appears in the center of the design with it turning into a circular six. The six in the tattoo could represent one of two things: the original superheros of the film, Iron Man, Captain America, Black Widow, Hawkeye, Thor and the Hulk or this month being the sixth anniversary of the movie's May 4, 2012 release. The tattoos come at the perfect time, as fans of the Marvel superhero franchise have been feeling a little uncertain when it comes to their favorite heroes fate. With the news that their contracts are up after the fourth installment of the franchise, we can't help but feel a little worried for the superheroes we've grown to love. While their fates may seem uncertain, we can atleast take solace in the fact that the cast got matching Avengers tattoos.